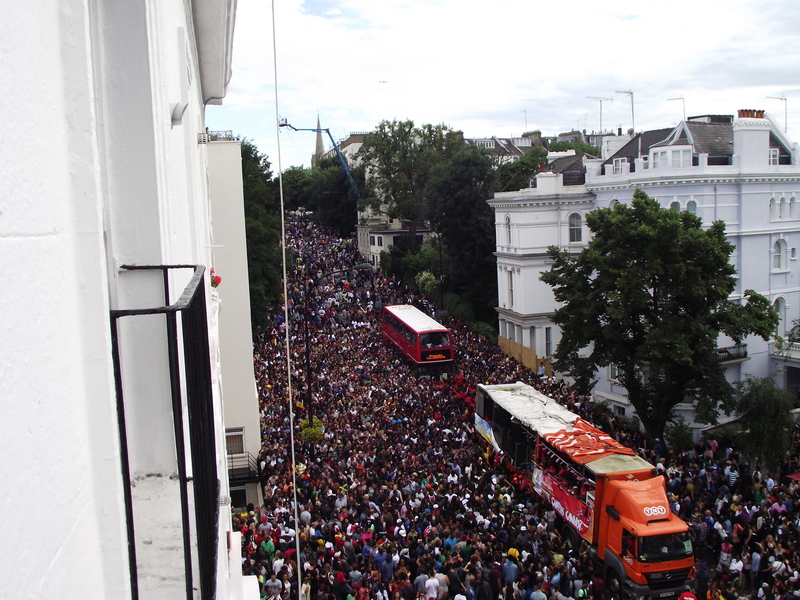 When I first went to view my flat in Notting Hill I felt excited about the prospects of living along the route of Europe’s best street party. It was around February, at the time the main road seemed wide and majestic stretching down hill. I remember thinking that I no longer will have to travel to and from the carnival in crowded buses. Even though I don’t usually spent more than a few hours at the Carnival, I still enjoy going to Westbourne Park Road every year for a taste of the food. The Caribbean jerk chicken, the corn on the cob and the sugar cane were some of my favourite. I particularly enjoy the corn on the cob as it reminds me of things I used to eat growing up. 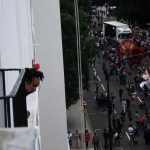 Now three years on, and two weeks to go before Notting Hill Carnival is under way, I start thinking of the not-so-fun aspects of living along the carnival route. “No Parking” signs have already gone up. 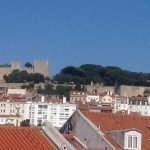 This reminds residents that they will have to find parking spaces away from the central areas because most main roads are being cleared for the procession. For me this means far from my front door. I also remember back to a 7:00 AM wake up call on a Saturday morning as eager performers started testing their sound systems. Not to forget the revellers constantly buzzing the door bell asking “can I use your bathroom”. Or the drunken randomly trying to hug you every time you leave the house. Despite all of the (small) inconveniences I am looking forward to a full, loud and colourful street. I will literally just need to pop my head out of the window to enjoy the party. 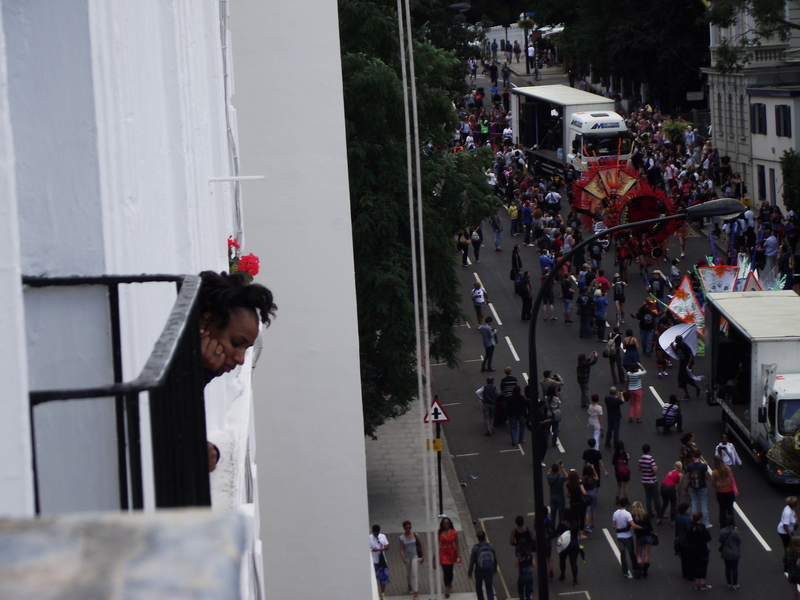 The Carnival offers a truly amazing spectacle, specially seen from above. I remember two years ago when a troupe of Brazilian drummers dressed in red and white filled the entire length of the main road with uniform colour and rhythmic drumming. It was a truly mesmerising show, slowly moving down the road. Last year I was away during the Carnival weekend. 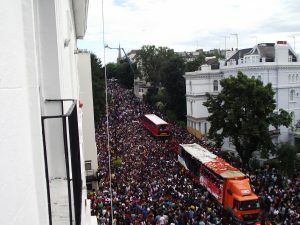 After a few years of Carnival, many local residents of Notting Hill now make the conscientious decision to take a break from time to time. I returned home at around 7:00pm on the last day of Carnival expecting it would be finished. It was still going strong. When it came to an end a few hours later, people were still buzzing. Thousands and thousands of people now filtered out, up and down the silent procession route. Some occasionally singing, others just exhausted and a few simply too drunk to seem to know where they were heading. And in two weeks time it starts all over again!